Smart phones and tablets are now highly popular in the past two years. According to the report, they suggested that mobile internet usage will dominate desktop internet usage. In the last five years, we never thought that surfing web via anything other than our desktop computers will occur. However, sooner or later, we will be “paralyzed” by the incessant advancements in mobile technology. Before, human race once took pride of sending rockets to outer space but now we are depending on in any mobile devices, from navigation to table reservations. Now, if you have mobile devices, you can purchase anything through online shopping. Online shopping via mobile devices was just a matter of time. The first one is bargain hunting which make easier than the price of a product. Most of the customers love to compare prices before purchasing, so the app creators must have come out with the power of scanning barcodes and discovering various prices at different retailer. Second, mobile ticketing, is one of the most common insights we see now a days. Mobile ticketing device is the process of using a mobile device to purchase a ticket of a certain events. Recently, survey suggested that mobile shoppers are spending $120 billion for tangible goods. So, this is the third strategy, tangible goods. Mobile marketing is the fourth on the list. 20% of online retailers already have mobile presence, and 80% of the online retailers are in the development stage. Offering coupons and deals via emails and texts messages is an effective way to start a mobile marketing campaign. Last, the mobile banking. The existence of this was way 1999 in Europe. Ever since then, mobile banking is one of the trusted ways of any transactions and checking account balances. And mobile banking is easy and fast to use this is the perfect time to invest in mobile banking. These apps has one of the phenomenal rise last year and will still continue in the near future. Mobile commerce is the full of promises in the future prospects. 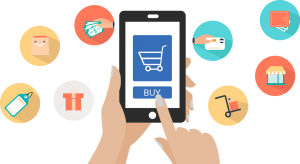 Therefore, mobile commerce strategies are effective depending on the success of a business.